19thDec 2016 – Beijing – ZW HR Consulting is honoured to be rewarded as 2016 Liepin Extraordinary Hunter Award in China on 15th Dec 2016at the Beijing Ullens Center for contemporary art, for the Work Different Employer Award 2016. Frank Yu, Chairman of ZW HR Consulting, represented the company together with Philip Clark (Beijing Office Manager), Selina Yao (Tianjin Office Manager) and Rachel Shi (Senior Consultant). Top 40 Extraordinary Employersand Top 10 Extraordinary Hunters were announced at the ceremony. ZW HR Consulting stood out from thousands of head-huntersand became a 2016 Extraordinary Hunter. “Extraordinary Hunter “is a newly added award which was officially launched in October,distinguishing the head-hunters with different attitude, different concepts and different future.The activity attracted thousands of head-hunters in China. Phase one consisted of a fierce online popularity competition, and phase two coming down to a rigorous selection based onseveral factors including ;Candidates comprehensive evaluation index, consultant evaluation index based on big data statistics and ecological contribution index to headhunting industry, finally Top 10 Head-hunters were selected. 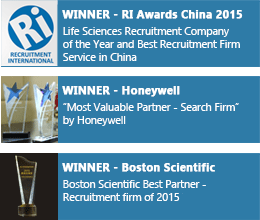 The award is intended to demonstrate the extraordinary performance of recruitment firms. This honour symbolized the great contributions and significant influence made by ZW HR Consulting for the development and progress of human resources management in China. Frank Yu, Chairman for ZW HR Consulting said “It is testimony to the great work and dedication by the team, as this award cements our position as the market leader. The team at ZW is committed to provide the best practices in China to ensure we find the right jobs for the right people, and secure the best talent for our clients in order for them to grow their businesses. The recruitment process of ZW focuses on delivering high quality and customer satisfaction”. ZW HR Consulting has a strong talent database and profound professional knowledge in the areas of Banking & Finance, Chemical & Energy, Consumer Goods, Manufacturing, IT & Technology, Life Sciences, Real Estate, Legal and General Function, which makes it better to understand client needs, so as to provide tailored recruitment service and create more values to further clients and talents. ZW HR Consulting provides recruitment solutions focused on mid-senior level professionals. Originally founded in Shanghai in 1998, ZW HR has since grown into one of the biggest and the oldest headhunting recruitment firms in China. With 10 offices across Asia, ZW HR Consulting currently has over 200 employees. As of 2012, ZW HR Consulting has become an exclusive member of InterSearch Worldwide. Established in 1989, InterSearch ranks as one of the top international executive search alliance organizations in the world, with 100 offices in over 50 countries.